Want to see the latest original series that pay cable has to offer? You needn’t bother with a high-priced cable subscription. These days, premium cable channels are turning to online to help generate buzz for their new shows. The latest pay cable channel to lift the pay gate is Cinemax. In a move that mirrors Starz’s decision to put the series premiere of Outlander online for all to see, Cinemax put the pilot episode for The Knick on YouTube. 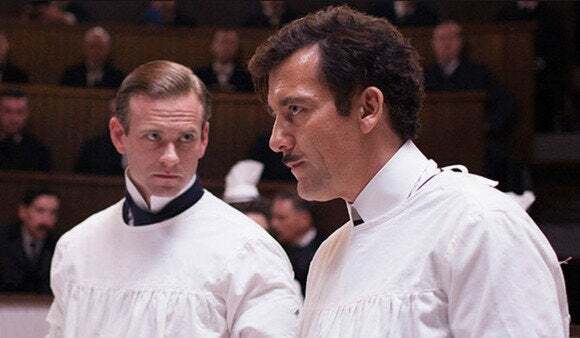 The Knick is a circa-1900s medical drama set at New York City’s Knickerbocker Hospital. It’s directed by Steven Soderbergh (Syriana, Good Night and Good Luck), who was last on HBO in 2003 with K Street. Making shows available online pays off for pay cable channels in the form of eyeballs and mindshare. Take Outlander, which was streamed 897,372 times by more than 600,000 unique viewers, just three days after being posted for free viewing at Starz’s website and other spots on the Web. Will The Knick generate the same results? Maybe, maybe not: Unlike Outlander, which was put online before its broadcast, The Knick aired on cable first before heading to YouTube. However well The Knick performs on YouTube, there’s a trend gathering steam here—namely that broadcasters have grasped the Internet’s promotional power. In this case, both Starz and HBO—which owns Cinemax—hope that putting the first episodes of new shows online might get non-subs hooked on these series, motivating them to become paying subscribers to see the rest. It’s become a regular part of HBO’s playbook for unveiling new shows, along with promoting clips on its YouTube channel.